Your wedding day will certainly represent one of the most important events in your life. This is why nothing should be left to chance when planning for any and all eventualities. 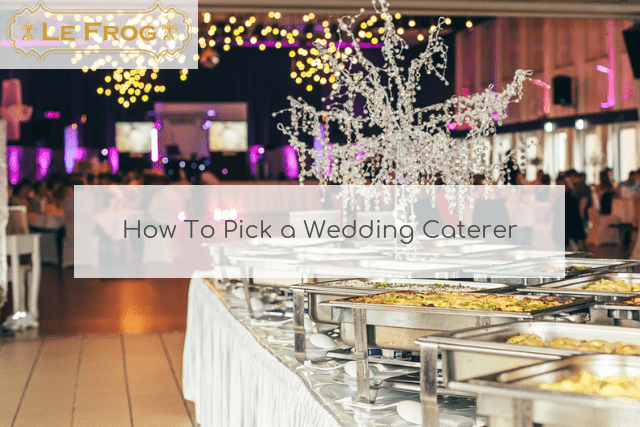 A critical concern which must be taken into account from the very beginning involves knowing how to select the most professional catering staff for the event and the subsequent reception. Let us, therefore, take a quick look at the qualities of a superior catering service so that the most insightful decision can be made when the time is right. It is always prudent to select a wedding catering firm that boasts years of experience within the industry. Not only is this a signal of competence, but it helps to ensure that they have gained a positive reputation over time. Thus, you can rest assured that no unexpected surprises will pop up when time is of the essence. Variety is the spice of life and this very same maxim holds true when referring to a wedding menu. Flexibility is another hallmark of a trustworthy firm. You should be provided with a kaleidoscope of menus in order to personalise the wedding while addressing the needs of your guests. This is also important if you have special requirements such as vegan dishes. The catering staff should be prompt, courteous and amenable. Let’s not forget that they will be interacting with the guests, so a professional disposition is a must. Not only can this help the day to run smoothly, but such an attitude will take the pressure off of the bride and groom. Word of mouth is a final variable which should never be overlooked. It can be argued that the most important hallmark of a reputable catering firm involves positive feedback from previous clients. This speaks volumes for the services that you can expect to enjoy and objective opinions will provide you with an additional level of insight. When nothing should be left to chance, the professional staff at Le Frog Wedding Caterers is more than happy to be of assistance. Please do not hesitate to contact us via our online enquiry form or to give us a call. We will be pleased to offer you additional information in regards to what can be expected of our services.